Reese Witherspoon is an Oscar, Emmy and Golden Globe winner, a producer with more than two dozen projects in the works and now the author of the new book, "Whiskey in a Teacup." She can also claim in her career accolades throwing an ice cream cone at Meryl Streep. “And I hit her, like I nailed it,” Witherspoon said. Reese Witherspoon jokingly reenacts the time she threw an ice-cream cone at Meryl Streep at the Hello Sunshine Video on Demand channel launch at NeueHouse Hollywood, Aug. 6, 2018 in Los Angeles. Witherspoon, who produces as well as stars in “Big Little Lies,” revealed the second season of the hit HBO show is based on a “follow-up novella” that author Liane Moriarty wrote to her 2014 book that Witherspoon and Nicole Kidman brought to TV. 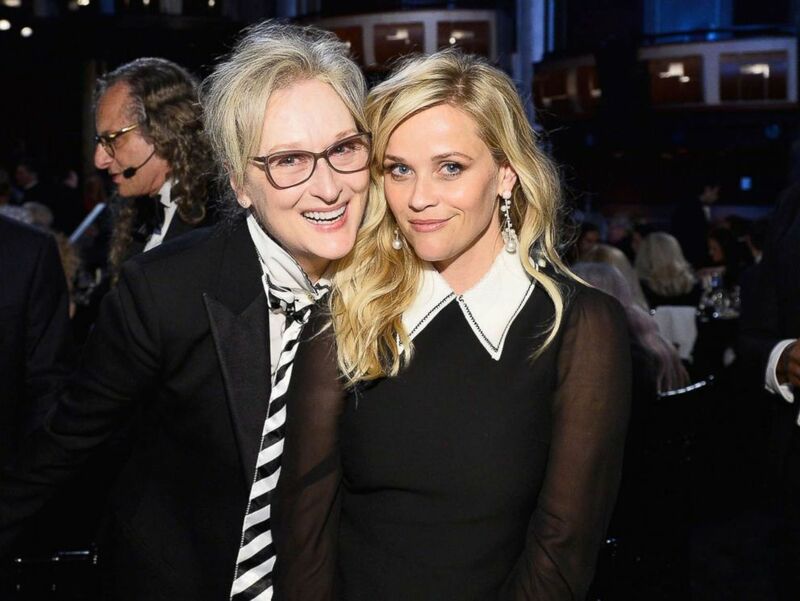 Meryl Streep and Reese Witherspoon pose during American Film Institute's 45th Life Achievement Award Gala Tribute to Diane Keaton, June 8, 2017 in Hollywood. Witherspoon is also gearing up for a major return to the big screen as Elle Woods in "Legally Blonde 3." "They approached me with the idea, of like this was this empowered moment, a feminist moment back in the early 2000s, and wouldn’t it be interesting to revisit her as she’s turning 40 and see what challenges she’s facing," she said of returning as Elle, who famously went to Harvard Law in the first "Legally Blonde." She added, "It's a really good idea." Witherspoon's book, “Whiskey in a Teacup: What Growing up in the South Taught Me About Life, Love and Baking Biscuits,” is based on the Tennessee native’s Southern roots. Witherspoon recalled a childhood of learning to cook from her grandmother and helping her grandfather distribute vegetables from their family garden to neighbors. Witherspoon, a mom of three, said her hope for the book is that it helps remind people of the community around them in the midst of "all the divisiveness" in the world today. "I think it’s important, particularly as the holidays approach, to really remember how important it is to spend time with family and friends," she said. "It’s important that we remember why we are all connected and why we are all part of this community together and we have to raise each other up and we have to take care of each other." Witherspoon, who recently launched her own media brand, Hello Sunshine, also answered questions from "GMA" viewers about their careers. 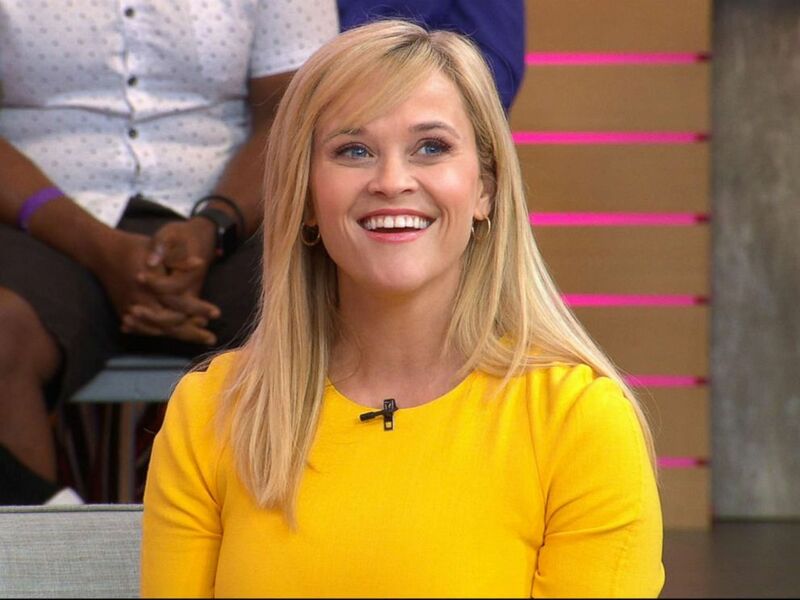 Reese Witherspoon appears on "Good Morning America," Sept. 17, 2018. Read her thoughtful advice below. "I think that we learn a lot from failure and I’ve certainly had my share of failure. I’ve had movies that didn’t work. I’ve had companies I’ve started that have been difficult ups and downs." "I think it’s not reflective of who you are as a person. I think the journey is long and you’ve got to remember that you learn just as much from failure as you do from success." "I think you should find a passion, something that you’re really interested in." Referring to a podcast she heard featuring Dwayne "The Rock" Johnson, Witherspoon said, "Something he said that was so smart and really resonated with me is whatever business you go into, learn everything about that business. Learn every job you could have, learn how much people get paid, how they make money at that company or in that business." "I thought that was so, so smart and we don’t encourage girls to do that enough."